Over the weekend, I've been working on some quite important features: Safety! The most important being disabling the heaters if anything goes wrong with the thermistor readings. It's boring, but it's necessary. Safety features does nothing to improve the print quality, but it might prevent your house from burning down. It's still necessary to keep an eye on the printer when it's running and always install a smoke detector near by. The most important feature is the min_temp alarm. 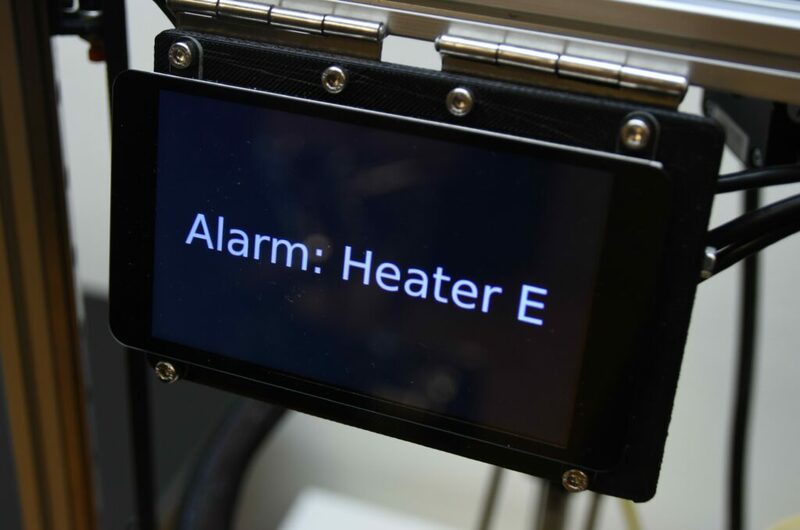 This is an alarm that will trigger if the temperature drops below the current target temperature. That means it has to be activated with an M151. So if you want to use this feature, add a M151 to the end of your start.gcode in the slicer profile. If you do happen to trigger an alarm for some reason, all the heaters will go into an error state. This state can be returned to normal by issuing an M562 command. Eventually we might automate the enabling of the min_temp alarm, but for now it will have to be enabled "manually". Max_temp reached, triggered if the temperature goes above a certain threshold, currently 250 degrees celsius. Temp_rising_quickly: If there is a short on the thermistor wires , this will get triggered. Temp falling quickly: Triggered if a thermistor wire breaks or the connector comes loose. Thermistor error: If there is an error reading the temperature from the ADC, this is triggered. If this has happened, the board will actually need a complete reboot. This was an error that occurred from time to time on the Rev A boards, but with the new, less noisy Rev B boards, it has not been seen so far. The new changes are now in the develop branch, and will be packaged into the Debian package of redeem as soon as some more people have tested it.